Should New Construction Be Inspected? you can truly make informed decisions about your new home. Assessing the condition of systems and components of your potential new house takes expertise and experience � that's what we have. Homes do not come with an instruction manual � and why not? Besides helping you with your investment decision, a great home inspection can provide pertinent information for a lifetime. We typically take at least 4 hours on an average sized home with a crawlspace. We are well-known for being one of the most thorough companies in the industry, and this shows in the many client testimonials we get and reviews on Angie's List, Yelp and Google from satisfied customers. Chris Lowe is a Master CREIA Inspector. There are only 100 active home inspectors with the Master title in the state of California. 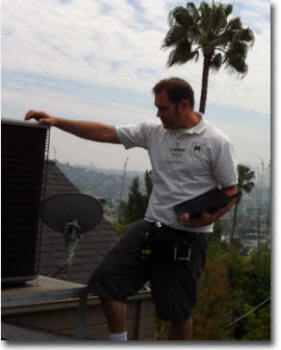 He is also certified as a CREIA Trainer, a Residential Thermographer, and a Tile Roof Inspector. In addition, we are BBB Accredited with an A+ rating. With 16 years of home inspection experience, Chris provides one of the most comprehensive inspection reports in the industry.